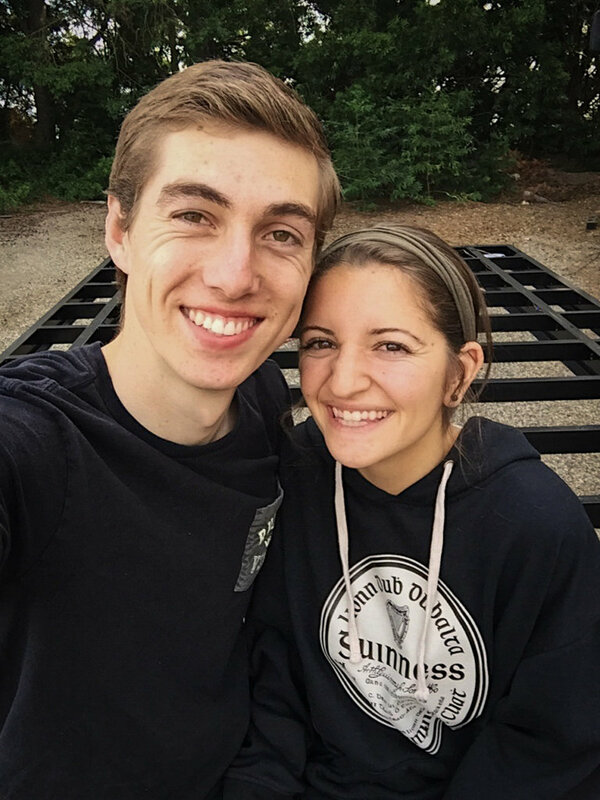 Blog College Couple Skips the Dorm Room to Build a Tiny House! I just wanted to start off by thanking you so very much for our custom 28 foot long Tiny House Basics’ tiny house trailer! 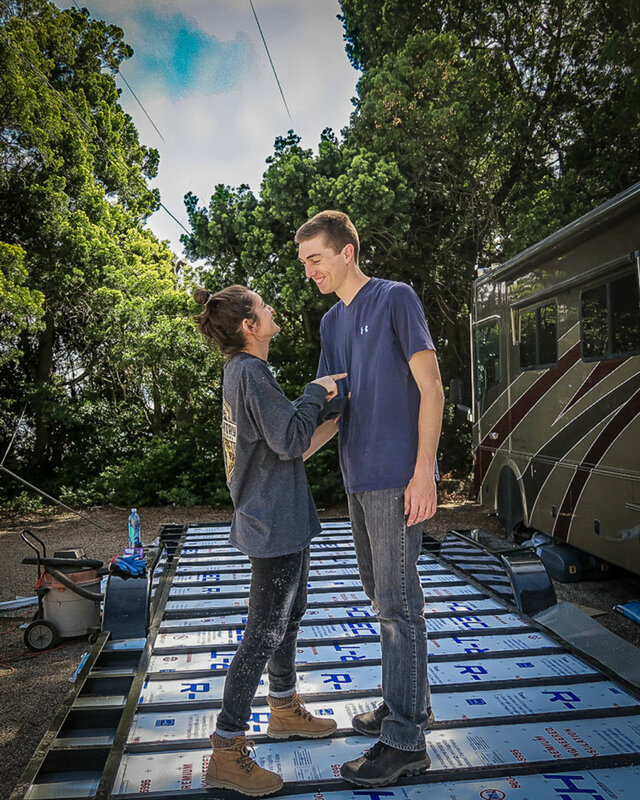 We knew ordering from you would guarantee us a safe and strong foundation for our home on wheels and you guys did not disappoint! Here’s a little background on why we decided to go tiny. 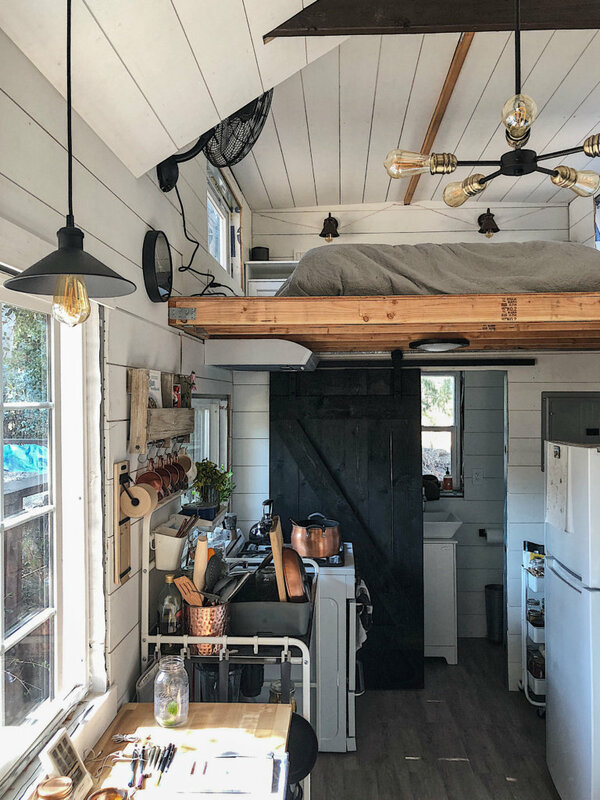 Not to long ago I talked my boyfriend Michael into getting on board with building our very own tiny house and planning to live in it for the next 5 years. Being that he is still in college and working on his undergrad with plans of law school next, it made sense to go tiny in the meantime in order to save on high living costs during these crucial years. During the process we decided to start a youtube channel documenting our build in effort to help others and we’ve been hooked on sharing since the beginning. While there are so many reason why to go tiny, one of our leading decisions like so many was for the financial savings. With having to take out student loans, we wanted to save as much as we could on our daily living expenses to balance out the loans in addition to being tired of moving from place to place with the ever increasing costs of the housing market. When I started college back in 2012 I was constantly moving everything I owned yearly and doing the typical college shuffle but it was getting exhausting. So instead of packing up all my belongings and moving into a new place each year, I figured let’s just build one that we can take with us! And that is exactly what we did. The environment we had in mind for our tiny house parking space would be a place where we would have enough privacy but not too much so to where we felt alone in the woods and secluded, as lovely as that setting is, it just wasn’t what we were looking for at this phase in our lives. We also needed a space that was affordable as well as a place that would be safe and felt comfortable enough to call home. I never thought we would find a such an amazing spot as we did, Especially since we only started looking about a month ago. And then one night I was on craigslist and there was an ad that was literally titled “Shady Spot for Tiny House”. I literally almost threw my computer trying to get out of bed to go tell Michael. After many emails back and forth, we had an invitation to go see the spot in person. I checked craigslist almost every day if not a few times a day and it paid off. 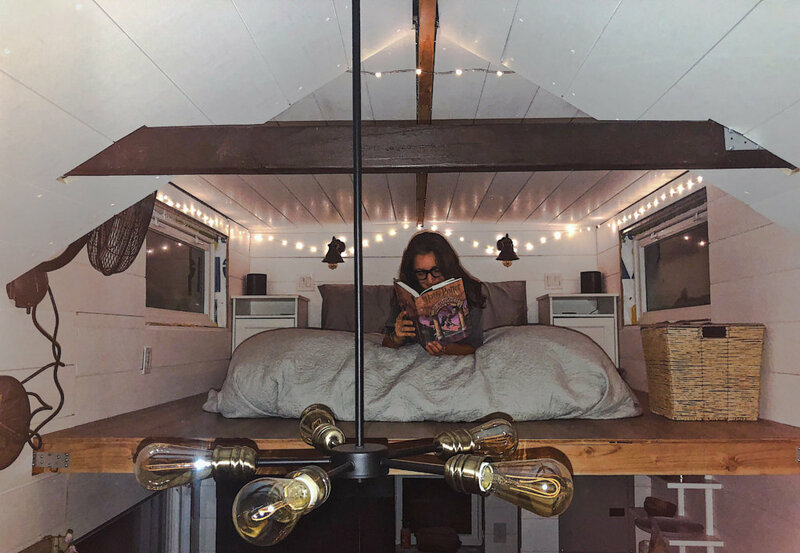 I read from some other beautiful tiny house people that they found their spot this way so I did just that. Here is the article we used to help us in finding land: How to Find Land NOW for your Tiny House. I’m glad we persisted because at first I started getting crazy looking and even started looking at land to purchase, even though I knew it was so far out of our price range, I just didn’t really see any other option at the time. Then on that one night i found the ad for our parking spot. I mean after all our house is tiny, we only needed one parking spot and this seemed to be it! After making the appointment to visit the parking spot, We then made the 5 hour drive, We filled with lots of music, prayers and hopes that this would be our spot for our tiny home. After a short bit of time and some rental applications, lots of phone calls between our new landlord, we got the spot! 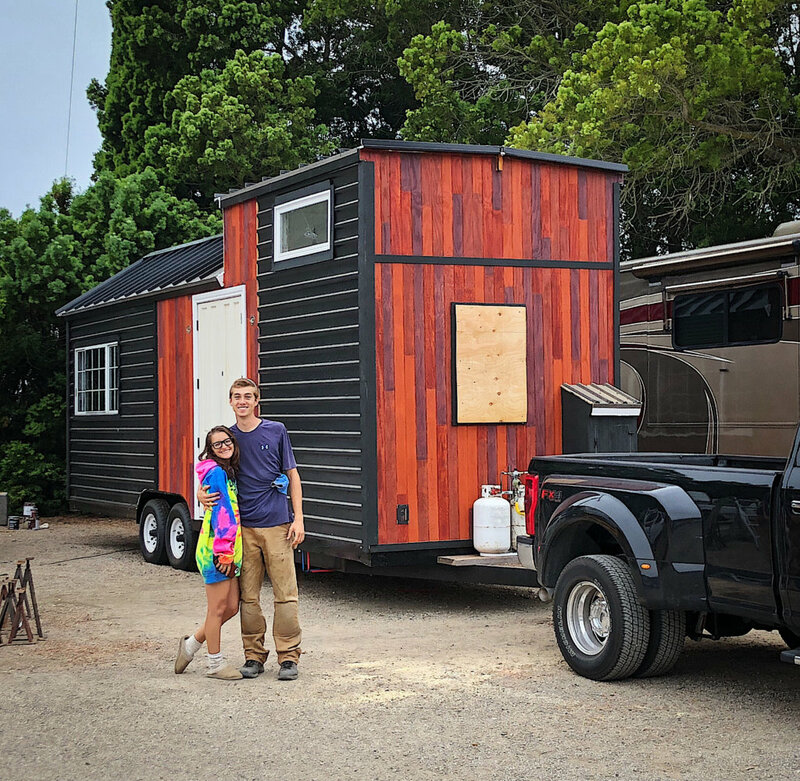 So in conclusion some advice from both of us to you, while it may seem like a daunting and unrealistic goal to build a tiny house, it is completely doable and attainable so don’t give up! With being consistent and doing your research and looking into as many resources for building as possible as well as looking at websites often for land in addition to keeping positive, Each person with this dream can absolutely make it happen. Tiny houses are changing the way this world sees a home and I think more opportunities will keep popping up, it will be worth it in the end. 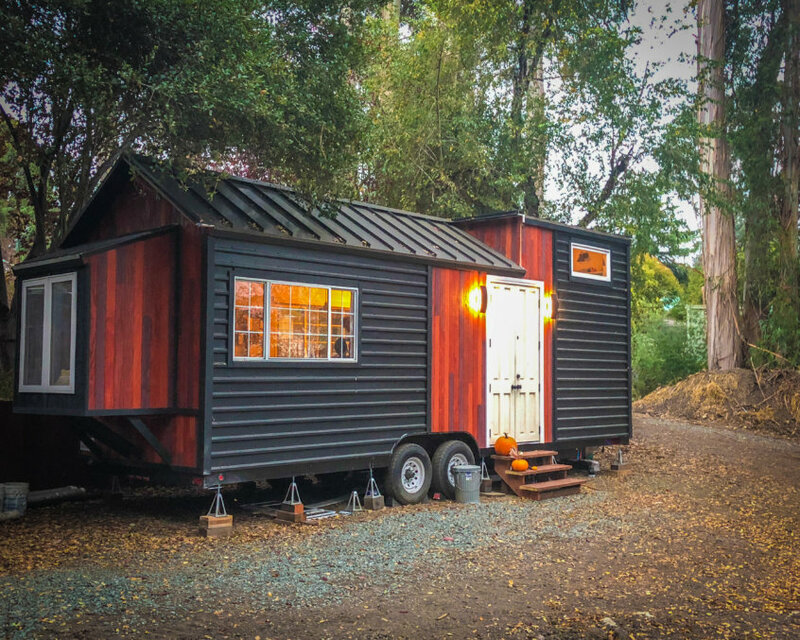 We definitely recommend starting off your build the right way with a trailer from Tiny House Basics. Not only is our trailer AMAZING but Joshua and Shelley are almost even better! 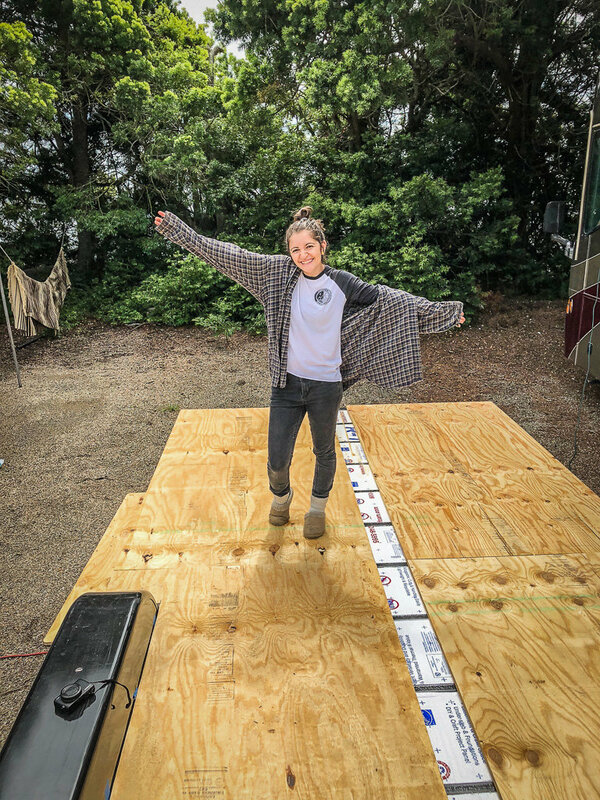 Working with them to design the foundation to our tiny house was such a smooth and great experience! 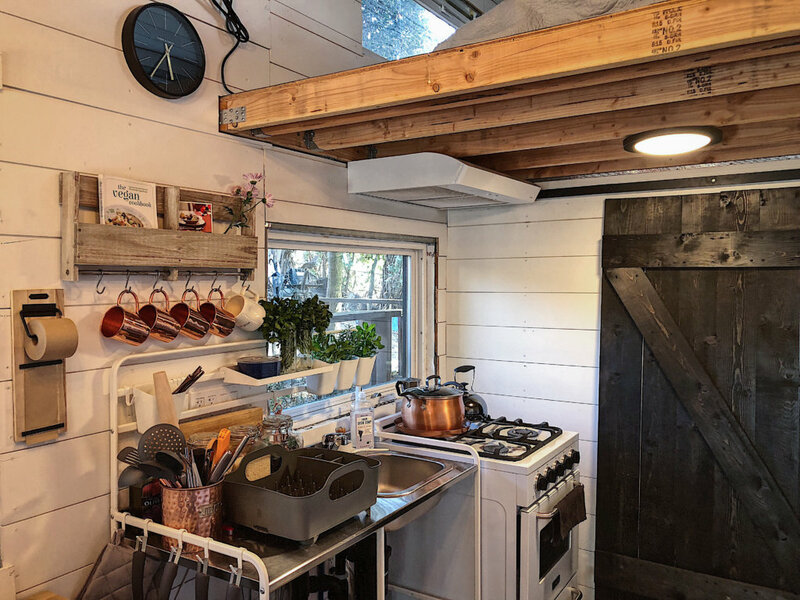 They are around for any questions you have and as tiny house owners themselves, they have so much insight and advice for the lifestyle, which was always so nice and beautiful of them to share with us. We got a custom trailer made and we are absolutely in love with it! Thank you Tiny House Basics for helping turn our dream into a reality! Here is to financial freedom! 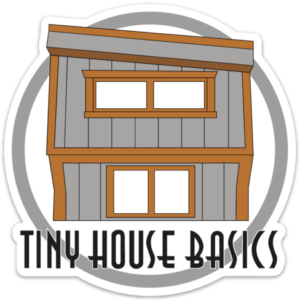 Request a Free Tiny House Trailer Quote to Start Your Build Today!